Sound is one of the most powerful healing modalities in energy medicine; not only does it have the capability to help you reach your core frequency, but it also connects you to your higher energies (and, thus, Source). One of the best things about the many different sound healing methods available is that you don’t need to be a natural musician or have special training — all you need is your voice and a few basics about sound therapy. The key to using sound successfully is finding the particular technique that will help you achieve your healing goals. If you were to ask 20 different people to describe the concept of sound, you’ll likely receive 20 very different answers. For example, someone who enjoys going to live rock and roll music performances may describe the emotional side of sound because of a musician(s) ability to communicate strong feelings with the audience by singing a verse or playing a guitar riff; another person may enjoy live music and find it emotionally powerful, but describe sound it in a completely different manner as they prefer the sweet sound of a violin playing a classical concerto to a Fender Stratocaster. Despite being extremely subjective, the healing capabilities of sound are universal. 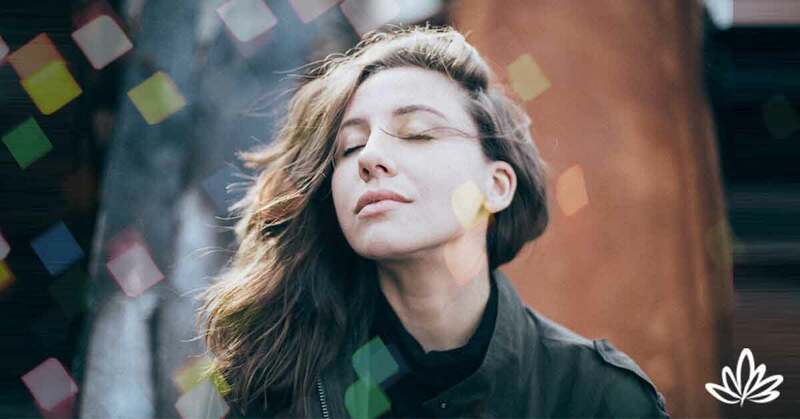 Sound not only helps you relax (and therefore decreases your stress levels), but it also can move through any energetic blockages you may be experiencing — including some physical blockages! If you, or someone you know, has ever tried to pass a kidney stone you are aware that it is an extremely painful ordeal (I’ve heard women say it makes childbirth feel like a walk in the park). When the stone is too large to be passed out of the body, doctors utilize a procedure called lithotripsy that uses sound waves to literally shatter the kidney stone into smaller pieces that can then be passed more easily. While the application of sound in modern medical procedures is groundbreaking, we often forget about the tried-and-true ancient sound healing wisdom that our ancestors have been using for thousands of years. After all, the ultimate goal of sound healing is to reach a place of oneness, where pain and darkness are absent and there are only peace and love. Before I dive into the exciting world of sound therapy and the many different methods you can use to heal, it’s important that you experiment with each method (even if you are drawn to one particular practice over another); just like sound itself is subjective, each of these healing methods have individual strengths that you may find useful in different situations. Your own voice is a powerful healing tool for shifting your mental, emotional, and spiritual processes. Toning is the sound of your vibrating breath—a sustained single tone, with no words, no melody or harmony, and no rhythm. It often uses the sound of Om, which is said to be the very first vibration that became sound. It represents the union of body, mind, and spirit all in one. The “oh” part of Om vibrates at the level of your solar plexus chakra, thus helping you resolve issues around your identity and purpose, while also boosting your self-confidence. The “mm” part of Om is like humming with your lips closed and is the most powerful sound for bringing you into harmony with Source. Incorporating toning into your sound healing toolkit will help you breathe more deeply, giving your body and organs more oxygen, and opening your energy flow — so you stay healthy and can live a long, peaceful life. When you do this toning exercise (or sing or chant), it doesn’t just help you — the sound frequencies that pass through your lips go out into the world and lift up your family, friends, coworkers, and all of humanity! In addition to practicing your toning techniques solo, you may consider joining (or forming) a healing circle. If you have a copy of my book, Heal Yourself — Heal the World, I cover healing circles starting on page 223. Chanting is the rhythmic singing of sounds or words, and it is commonly used as a spiritual practice. 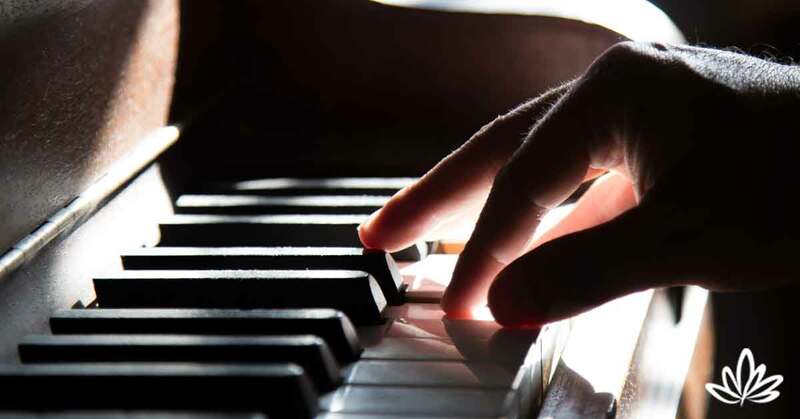 While certain types of chanting can be highly complex (such as the great responsorial and offertories of Gregorian chant in the Catholic tradition), it can also be straightforward (as kirtan from India). There are chants in African, Hawaiian, and Native American cultures as well as Vedic chants, Qur’an readings, Baha’i chants, Buddhist chants, chanting mantras, and psalms or prayers in Christian churches. Kirtan — which is call-and-response chanting — is part of India’s devotional tradition called bhakti. The names of God or mantras are chanted to the accompaniment of the harmonium, tablas and other drums, and hand cymbals. It was Paramahansa Yogananda who originally introduced kirtan to the West in April 1926 — to a group of over three thousand people who joined together at New York City’s Carnegie Hall to chant Guru Nanak’s “O’ God Beautiful” together. 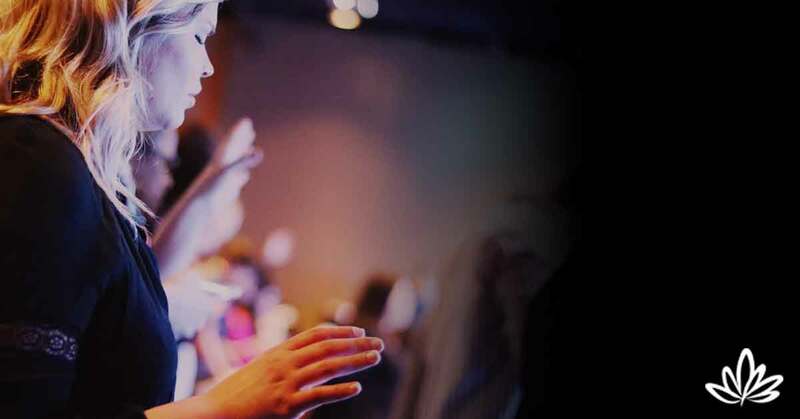 Many people feel silly or embarrassed when chanting, but I hope you’ll give it a try at least once and see if it’s the right sound healing method for you. After all, you don’t need to have Meaghan Trainor’s voice to belt out her latest hit song when you’re driving to the grocery store, so don’t hold back when it comes to chanting! Consistent sounds, especially pure vowel sounds, relate directly to the unwavering energy of Source. A mantra is a word or a phrase that is repeated frequently. For example, if you kept repeating the seed syllable of Om, you would be doing a mantra. When you are repeating a syllable, word, or phrase, you “hear” its sound and sustain that sound silently in your head. The mantra vibrates throughout your body, mind, and emotions. Repeating a mantra can help you cope with post-traumatic stress disorder, help you chill out if you’re in a traffic jam, and accompany you on hikes or during your time at the gym. If you don’t already have a personal mantra for use in meditation, consider enrolling in my Learn to Meditate course and I’ll give you your own personal mantra to use in your sound healing exercises. While mantras work on your whole being, sound healing for the chakras is called chakra tuning. Ancient Egyptian priests used vowel sounds to resonate with chakras, while Aboriginals from Australia and shamans in Native American traditions use toning and repetitive sounds in ceremonies to correct imbalances in the human energy field. From a physical perspective, the simple act of chanting “om” or “aum” actually causes the release of melatonin, endorphins, and nitric oxide, relaxing your blood vessels, reducing your heart rate, and slowing your breathing. The result? A calmer, more relaxed you, courtesy of sound! There are two main types of singing bowls: Tibetan singing bowls (good ones are made of bell-metal bronze, a combination of copper and tin, while cheap ones are brass and have lots of impurities) and crystal bowls made of quartz crystal. Tibetan bowls are most frequently used to sound a tone at the beginning and end of a meditation session. 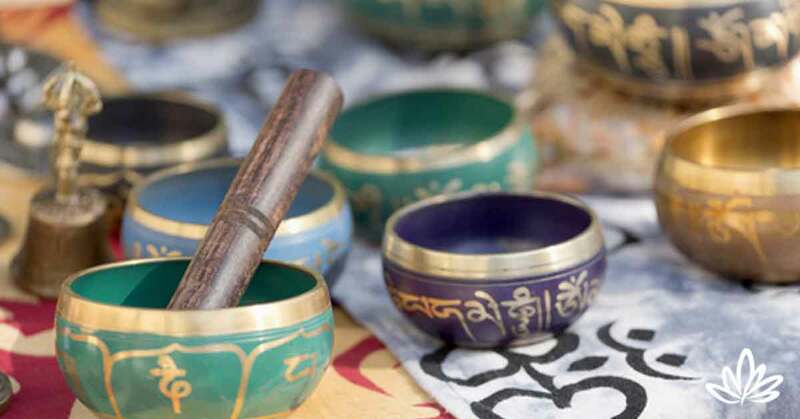 The sound of these bowls brings a deep sense of relaxation and opens your chakras. Singing bowls were traditionally used in Asia, and the history of making sound with bronze bowls may even go back thousands of years to the Bronze Age. You produce sound from the bowls by using a mallet moved around the outer side of the bowl’s rim, much the same way as when you run a wet finger around the rim of a glass to make it sing. The sides and rim vibrate, creating a sound that has a basic frequency and several harmonic overtones. The sound waves released by both types of singing bowls emit a pure radiant sound that reaches up to the Divine. These pure tones create a vibrational sound field that resonates with and reharmonizes the chakras and the parts of the body associated with those chakras. Healing through sound combined with the power of crystal possibly goes as far back as the legendary land of Atlantis. Even today crystal singing bowls are sometimes referred to as Atlantean bowls. Crystal magnifies and transmits pure tone. It’s one of the reasons quartz crystal is an integral part of telecommunications. Crystal bowls are similar to robust radio transmitters, sending energy out into the atmosphere. The pure tones can activate the brain waves that send you into an advanced state of consciousness and can affect different areas of the brain, releasing hormones and neurochemicals that can lessen pain, overcome addictive tendencies, boost willpower, and pump up creativity. You can find singing bowls on Etsy, certain bookstores, or health and wellness boutiques (including some yoga studios). Tingsha is a type of cymbal used in Tibetan Buddhist prayers and rituals. In some rituals, the cymbals are used to summon the “hungry ghosts” so they can be “fed” vibrationally. Hungry ghosts are not generic ghosts, like the spirit of your dead Aunt Millie, but ravenous spirit beings with tiny mouths and enormous bellies who represent those with emotional needs that have not been met. Old legends say that hungry ghosts were greedy women in previous lifetimes who never gave away any food. Calling the hungry ghosts and then offering them food, incense, or even a prayer lessens their suffering. In the bodhisattva tradition, enlightenment is only possible after all suffering has been eliminated for all beings. Shamans use tingsha to clear the environment of any negative or disturbing energies and to bring auric fields into harmony. They are used in meditation and sound healing in much the same way as singing bowls. 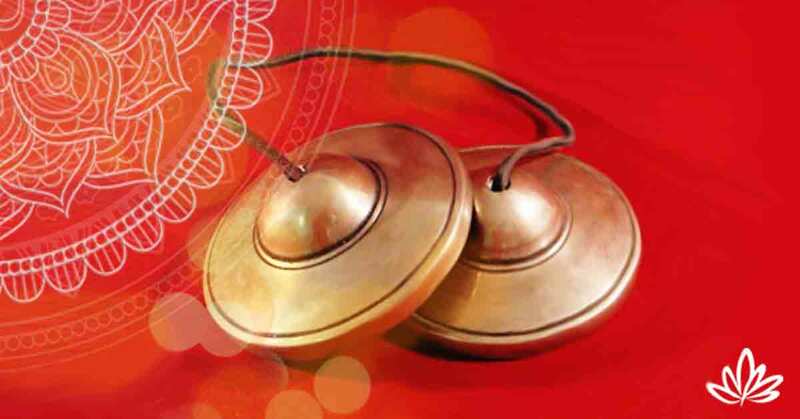 Generally, tingsha cymbals awaken and initiate healing on all levels and are said to generate an opening in physical, mental, and spiritual reality. To produce a clear, harmonic sound, suspend each cymbal by its cord, holding it firmly where the string enters the hole on each tingsha. Strike the edges of the tingsha together, usually once, by angling one cymbal at about 90 degrees to the other. Let the tingsha sound until they become silent. You can find tingsha cymbals online, and you can see how to play or listen to their healing sounds on YouTube. You may think of the tuning forks that are used to tune a piano, but there other types of tuning forks that can tune your body. All your organs, glands, and cells vibrate at their own specific frequencies, and these frequencies correspond with musical notes. There are twelve keynotes in the human body, and all the parts of If your heart is healthy, it will vibrate at the note of F.
If you think of your body as an orchestra, your various body parts are all musical instruments playing at their own frequency or pitch. If you are healthy, your body will play a harmonious tune. If your body parts are discordant, you can use certain tuning forks to bring your body into alignment. When the right tuning fork is put near the organ or the chakra that is not in harmony, the sound waves will raise the vibration or pitch of that area. Tuning forks clear energetic blockages in the meridians in a similar way to acupuncture. There are many different types of tuning forks. Classical tuning forks, the ones you’d use to tune your piano, are based on a piano’s chromatic scale. Then there are custom-made tuning forks that correspond with the twelve major organs in traditional Chinese medicine, as French musician and acupuncturist Fabien Maman, called the father of vibrational sound healing, discovered in the 1970s. He found that the pitch and timbre of musical notes had the ability to affect a cell’s shape, color, and energy. If you can tune in to the “fundamental note” of the cell, your energy field will come into harmony. Certain tuning forks are tuned to the frequencies and musical intervals of heavenly bodies—the sun, the moon, and the planets. Other tuning forks address specific ailments and illnesses. Some tuning forks make a high-pitched delicate sound that can open you up to the angelic kingdom. Chakra tuning forks are a set of seven forks tuned to the frequencies of the seven chakras. Standard tuning forks are used for toning, releasing energy blockages, and clearing chakras or auras. Weighted tuning forks have a much stronger vibration and stay at their frequency for a longer period of time, so it is easier to feel their vibration. They work well for acupuncture-type treatments and muscle relaxation, and can provide immediate pain relief. 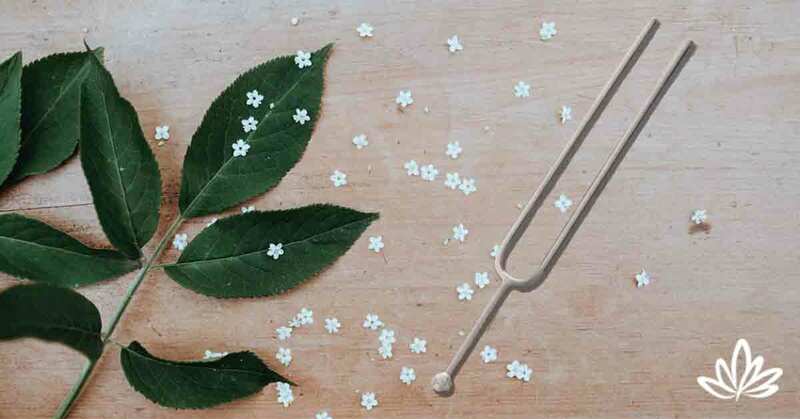 A very simple way of using a tuning fork is to strike it, which sends out strong vibrations through the air, and place it near the part of the body you want to heal or in the area of the chakra to energize it. Tuning forks can help provide a deep relaxation and relief from stress, promote mental clarity and concentration, increase physical energy, integrate the left and right brain, and bring the nervous system into balance. One of the oldest methods of sound healing is shamanic drumming, which a shaman can use to facilitate communication between a patient and the spirit world. Drumming is also a shamanic technique for journeying, shape-shifting, and divination. The shaman listens intently to find just the right sound and uses certain repetitive rhythms to summon forth the guiding spirits. The Greek definition of rhythm is “to flow.” Various rhythms convey different meanings, while volume and tempo affect the emotional body. The sound and rhythm of the drum create the bridge that allows you to flow into the world of spirit. Before a ceremony or ritual, the shaman will hold the drumhead over a fire, heating it until the drum is at the pitch the shaman wants to use. The sound waves coming from the drum energize the systems of body, mind, and spirit and make them vibrate in harmony. Drumming has been shown in studies to have a positive effect on those with Alzheimer’s disease, depression, cancer, stress, and Parkinson’s disease, as well as those with chronic pain.10 For example, neurologist Barry Bittman’s study on group drumming therapy showed it could increase cancer-killing cells in the body. Psychologist Robin Dunbar at the University of Oxford showed that drumming could release endorphins and decrease pain. 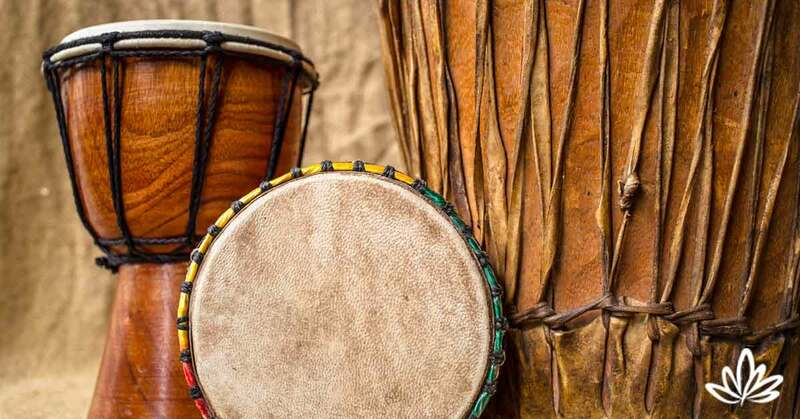 Drumming can treat anxiety and stress, sleep issues, fatigue, high blood pressure, chronic pain, emotional disorders, and much more, as well as boost the immune system and deepen self-awareness. Drumming allows us to resonate with the natural rhythms of life. If you’re interested in taking your sound healing technique to the next level, enroll in the Sound of Healing workshop today. Taught by New York Times bestseller Deborah King, the Sound of Healing is a 10-part, on-demand, self-study, go-at-your-own-pace video workshop in which you’ll learn new sound therapy methods that you can use to heal yourself or others. 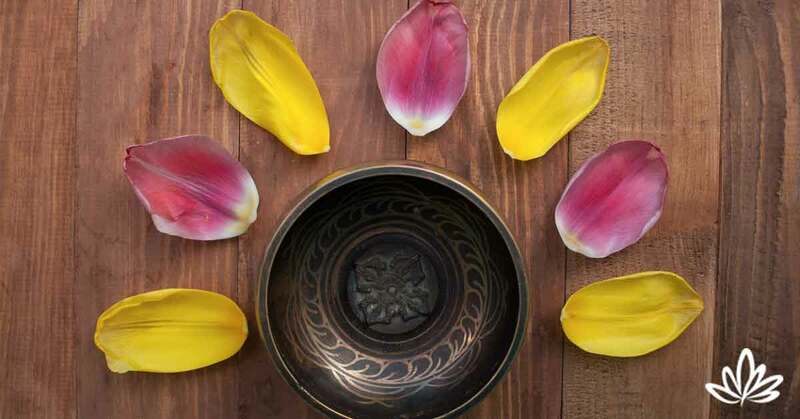 From understanding seed sounds for each chakra to witnessing and following along with a hands-on-healing session, this sound healing certification course will show you how to create harmony — body, mind, and soul.